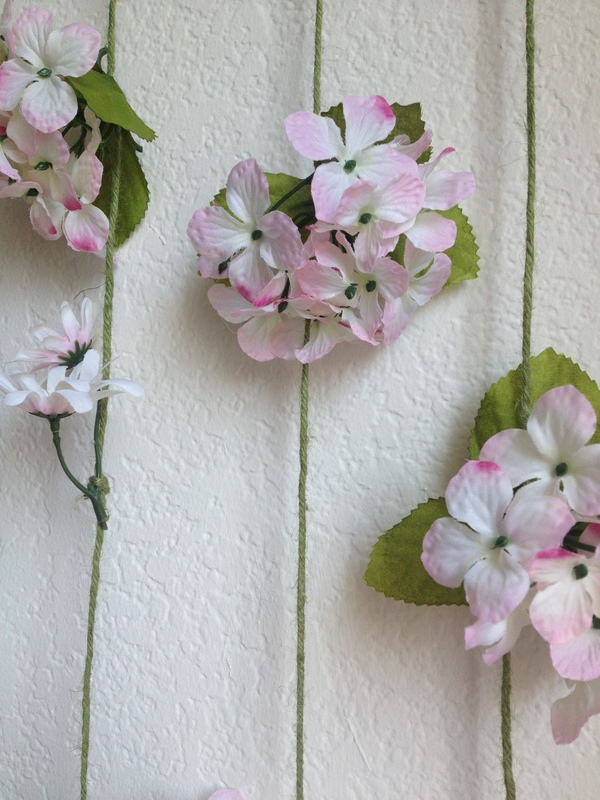 All you need is a dowel, some twine, ribbon, faux (or real!) flowers, and hot glue. Keep in mind you can use any length ribbon/twine. Here’s what I used for each of my pieces. First, hot glue and wrap on some twine. Five loops around the dowel is plenty, but I really liked the green on tan look so I did a few more. 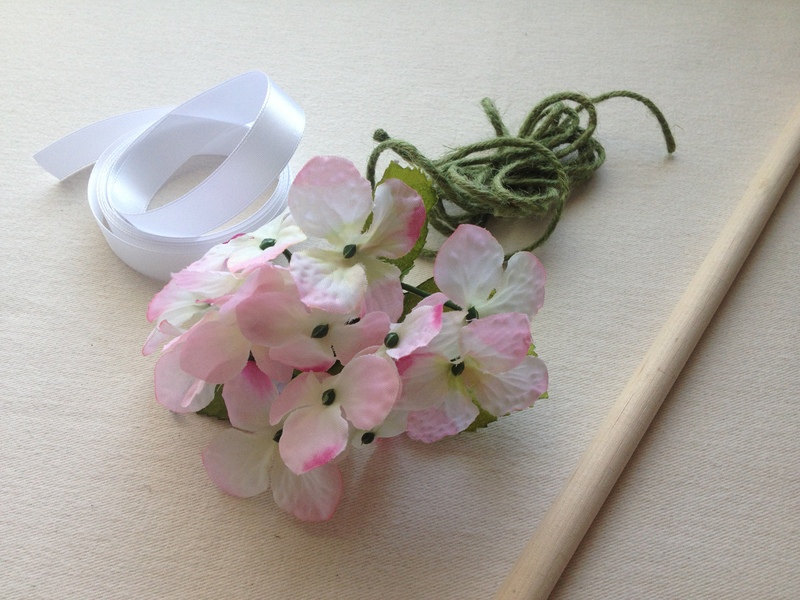 Fold the ribbon in half and hot glue the midpoints onto the ends of the dowel. Tie a knot to secure. 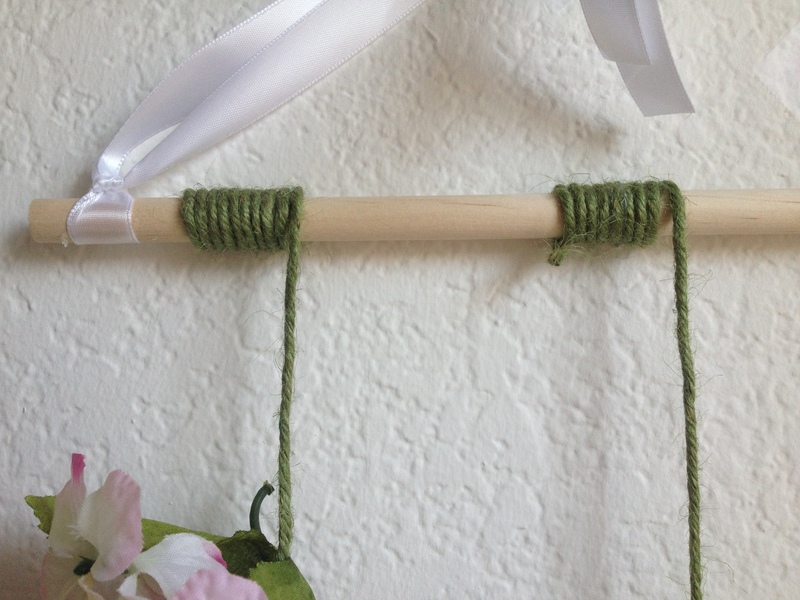 Next, lay out your flowers along the twine. Tie them on tight with a double knot starting from the top. Optional – you can place a dab of hot glue underneath your knots. Continue tying on your flowers. You can make your strands different lengths too. And that’s it! 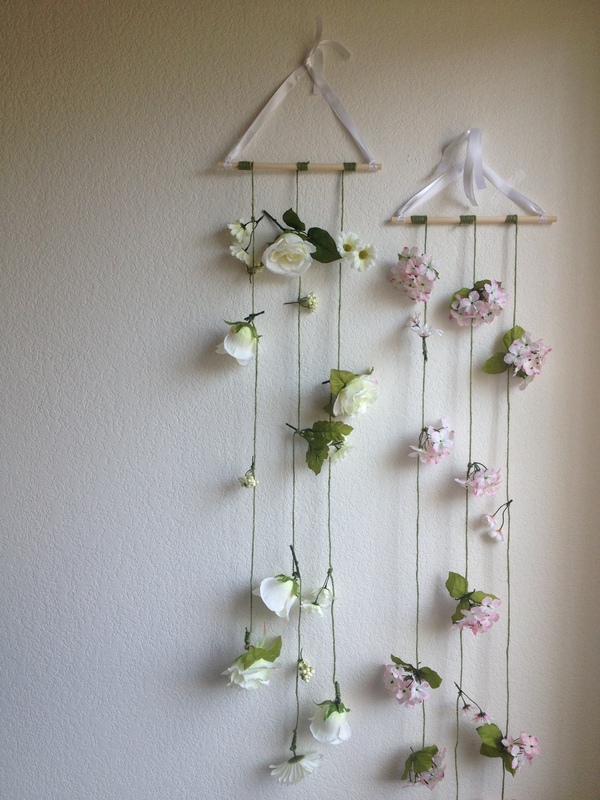 Tie the ribbons together or keep them separate and use to them to hang your backdrop. Then, takes lots of photos. 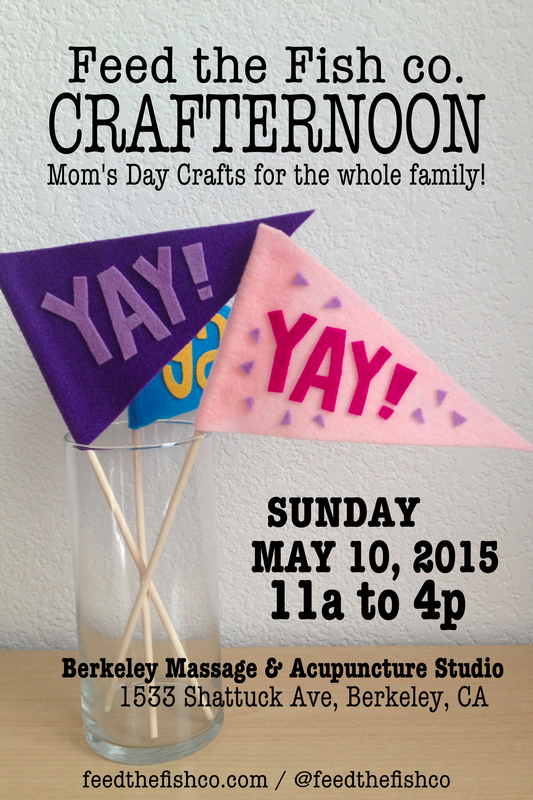 And PS – If you’re in the Berkeley area tomorrow, Sunday, May 10 (that’s official Mom’s day!) come craft with me at Berkeley Massage & Acupuncture Studio’s Family Outdoor Lounge – 1533 Shattuck Avenue, Berkeley, CA. I’ll be there with my crafty side business from 11a-4p. Thank you! 🙂 If you make one, make sure to tag me @crafterateur. I’d love to see what you make!